Rock crawlers can now use the all new AX10 Scorpion transmission in future builds or to update existing trucks they already have. 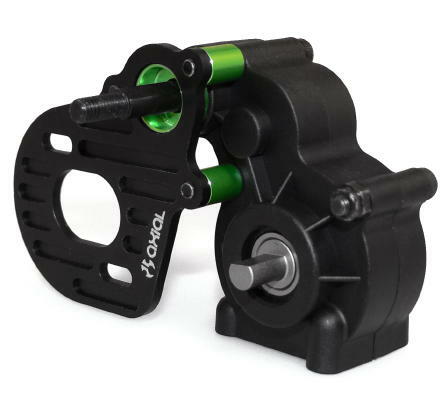 The AX10 Scorpion transmission was designed to keep the center of gravity as low as possible while still allowing a wide range of gearing choices. The transmission come fully locked with no differential action and features ball bearings throughout as well as hard anodized output shafts.